Team Ireland arrived in the Hungarian capital Budapest early this afternoon ahead of the start of the 2018 World Men’s and Women’s Youth Championships. The squad, pictured, left from Dublin Airport this morning. 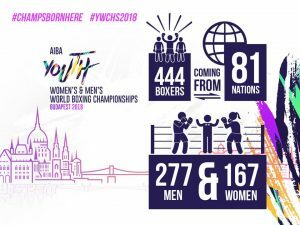 Boxing begins Tuesday and Irish male captain Jude Gallagher and Dean Clancy could both be in action as the light-fly and fly limits are between the ropes on Day 1. Lauren Kelly is skipper of the female team. Picture courtesy of Mike Mongan.